Made out of a blend of high-quality metals, these metal eyeglasses are a popular choice if you're looking for durable eyewear that will stand the test of time. 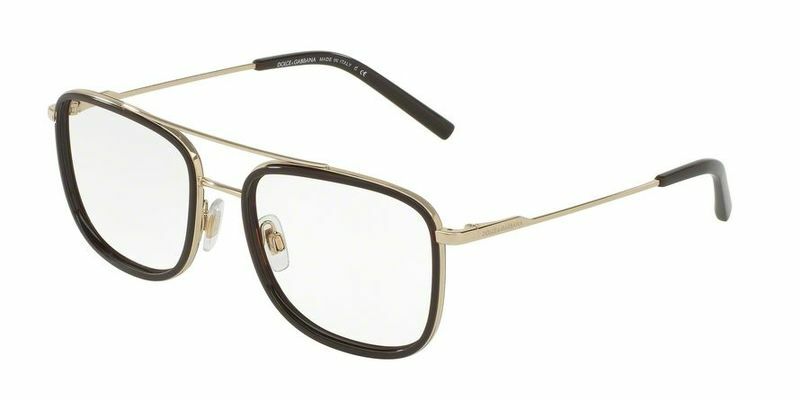 If you're after a pair of fashionable Dolce & Gabbana DG1288 eyewear frames that are versatile and minimalist, these square Dolce & Gabbana DG1288 eyeglasses will add the right amount of sophisticated cool. Pair them with your business attire or a pair of simple blue jeans and shirt; you'll still look the part no matter where you go. Add more definition to your rounder face to show the world who you are - it's up to you how you wear them!